The Rum Runner. Inspired by Windsor - Detroit's local history of rum running, gangsters, and class. Saphire Crystal with Anti- Reflective Coating 316L Stainless Steel Casing Italian leather quick release strap (20mm) Silver Brushed Dial (41mm) NH70A Automatic Movement (38-41 Hour Power Reserve) Heat Treated Blue Handles 5 ATM Water Resistance PRODUCT INFO The "Rum Runner" watch is all stainless steel including a silver face/dial with minimal black writing for the numbers and indexes on the face, whiskey brown on the sides for accent and features quality blue hands as well. Seiko Skeleton movement NH70A (Silver) See-thru case back with mineral crystal Flat sapphire crystal with anti-reflective coating underside 5ATM water resistant RETURN AND REFUND POLICY Exchange only within 30 days of receipt of the watch and only on non-customized type watches. No refunds or returns on any watch. Once an order is placed either through the website, by e-mail, through any electronic means, or in person, it is non-refundable. Any customization made to the watch outside of the regular stock options will render you unable to exchange the watch. No exchanges on custom or customized orders. You are responsible for any shipping charges to ship the watch back to me for any reason. You must contact me prior to shipping the watch back to me for whatever reason as certain customs forms must be filled out by you and included in a pouch on the outside of the package. If this does not happen, and I get charged duty and/or customs charges of any kind, those charges will be passed onto you with a 5% administration fee. Your watch will not be released until these charges are paid for. Your Warranty All of my watches are covered by a twenty-four (24) month warranty. The warranty protects you if the movement of the watch proves to be defective in material or workmanship under normal use. If this is the case I will repair or replace the movement of your watch for you, for the 24 month period from your original date of purchase. The warranty does not cover: – the battery (in a quartz watch) – normal wear and tear (eg. 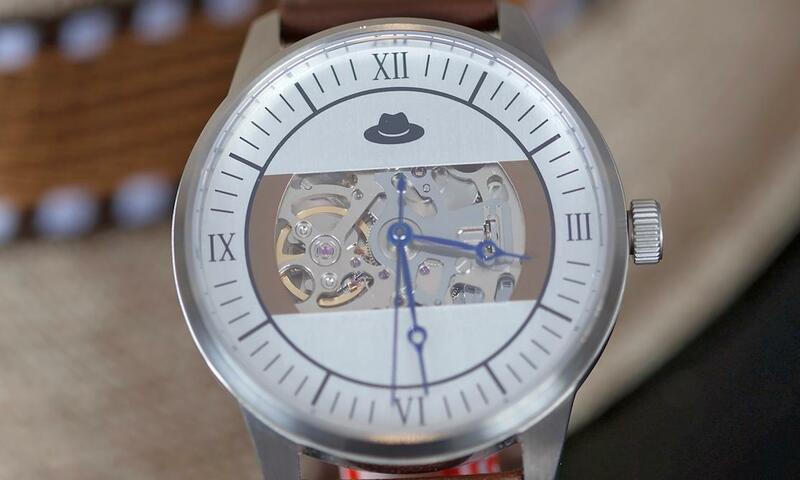 scratches or discolouration, wearing away or peeling of plating or coatings, scratched crystals, discolouring or wear on the strap) – damage to any part of the watch (including the movement) due to neglect, accidents, drops, abnormal or abusive use – shipping to Boder City Style for warranty work.